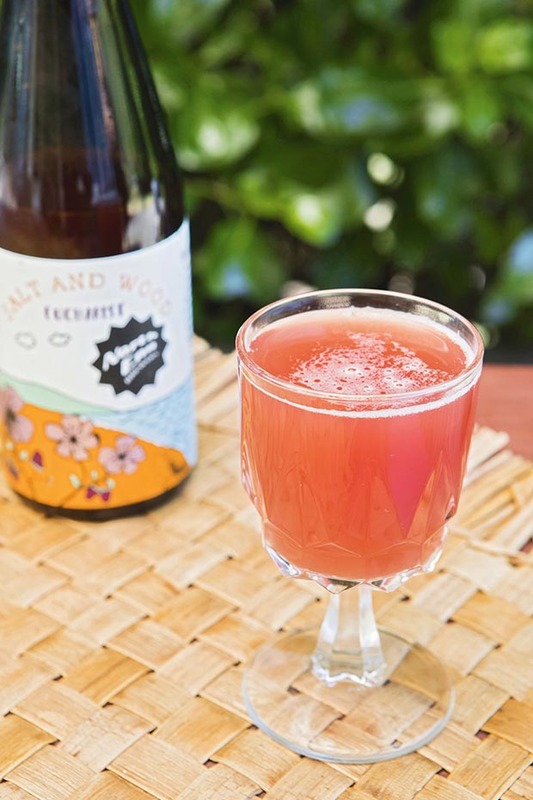 The wild yeasts of Kapiti Island will star in a new brew from a Waikanae company known for its barrel-fermented sour beers. It’s unusual to hunt wild yeast. Most brewers spend their days cleaning, sanitizing, shutting out any chance of wild spores permeating their brew. But if you’re a brewer for whom spontaneous ferments caused by an uncertainty of microbes is most exciting, wild yeast gets you frothing. 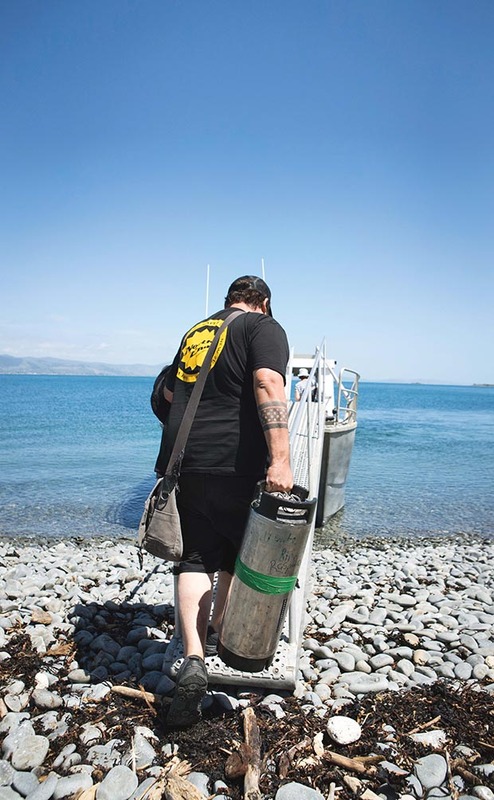 Kieran Haslett-Moore has nursed a 19-litre keg of beer wort (the sugared water off the malt – the beginnings of any beer) on a water taxi, crammed in with sunglassed-and-hatted day trippers heading from Paraparaumu to Kapiti Island. The backpack crowd is there to spot the island’s native bird and plant life but Kieran’s quest is for its smaller flora. 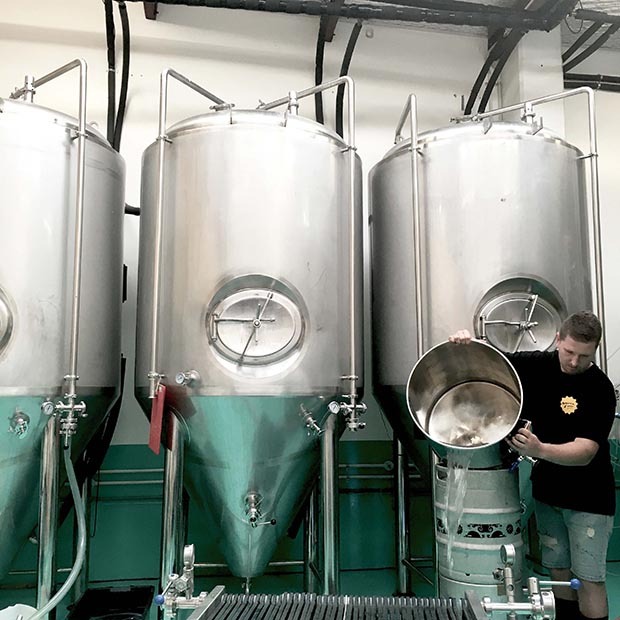 The partner and brewer at Waikanae’s North End Brewery is on his way to harvest the island’s wild yeasts for his latest brew. And it’s fitting. 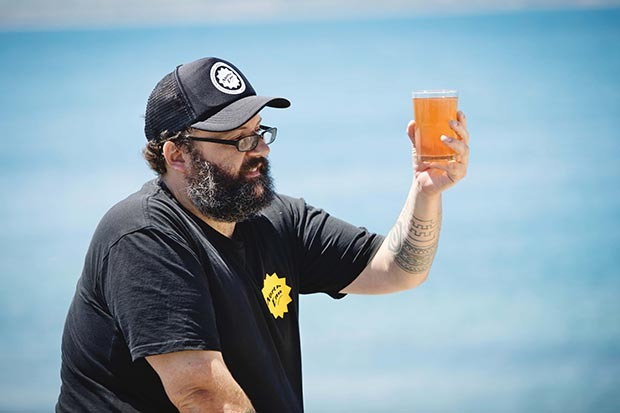 Now four years old, North End Brewery is named for the northern tip of Kapiti Island, where his two business partners in the brewery (and their two associated Waikanae restaurants – Long Beach and Salt and Wood) favour surfing and fishing. 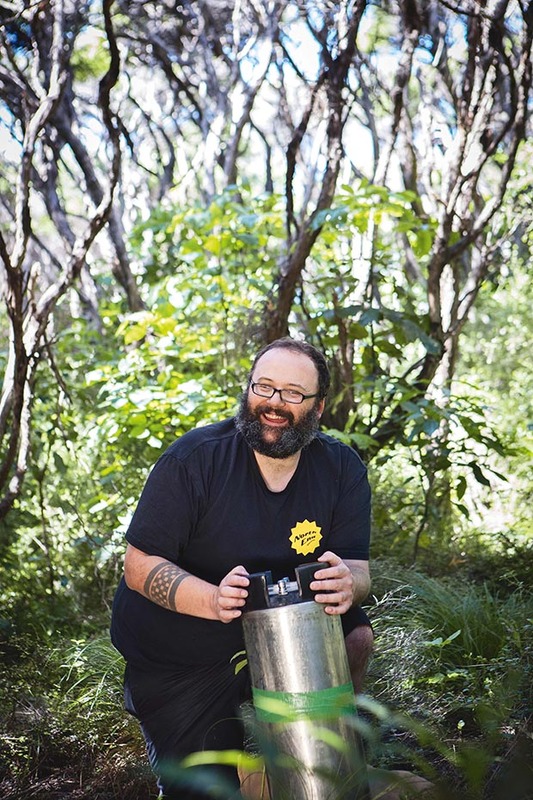 Kieran readies his keg to harvest Kapiti Island’s yeasty microbes. The very image of a modern brewer, Kieran is a familiar face to many Wellington shoppers. 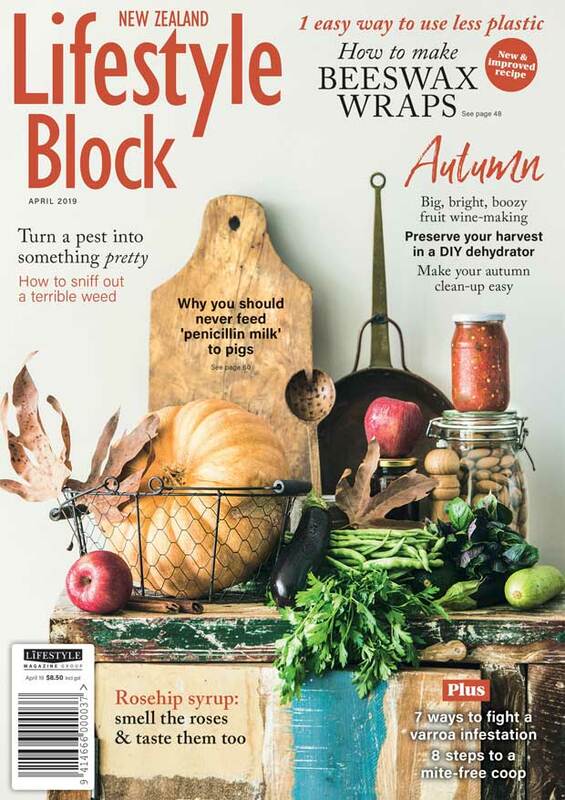 He put in six years at Moore Wilson and another half dozen at Regional Wines and Spirits before his partners shoulder-tapped the enthusiastic home brewer to turn professional. Now he spends his days dreaming about what would taste great in a glass. And he’s busy – Kieran is responsible for six brews a month, producing 2000 litres of beer in each brew. And that’s getting back to the old way beer was made for thousands of years, using the yeast and bacteria in the environment to flavour the beer. It’s the way lambic beers are made (although Kieran won’t use the “l” word for appellation reasons). It’s also about embracing what are often seen as faults – bacteria like lactobacillus and pediococcus, and volatile acidity etc – as something that makes each brew distinct. Kieran Haslett-Moore boards the taxi back to the mainland with his wild beer starter. 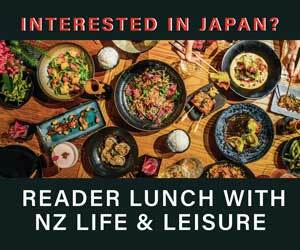 Hunting expeditions tend to be more successful with a guide and Kieran’s is Manaaki Barrett. Manaaki is a great-great-great-great grandson of a warrior who settled on Te Waewae Kapiti o Tara Raua Ko Rangitane (“Kapiti Island” for short) with the Ngāti Toa rangatira, Te Rauparaha, as he fought his way south in 1820. The 2000-hectare island is now almost entirely a publicly owned pest-free nature reserve, save for a 12-hectare patch at its north end. That’s still owned by Manaaki’s whānau, as his great-grandmother refused to leave when the government bought Kapiti Island in 1897. 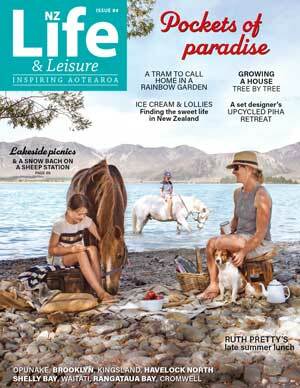 Visitors who want to spend the night there must be hosted at the Barrett’s Kapiti Island Nature Tours lodge. 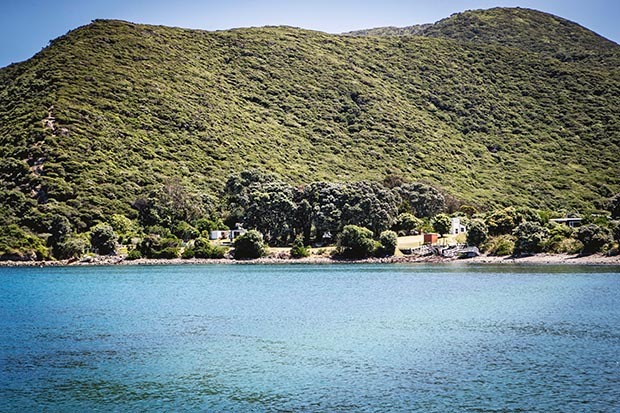 Manaaki Barrett’s whānau owns the 12 hectares of Kapiti Island that includes its north end. Kieran needs only a few hours to collect enough microbes to start his new brew. Manaaki is happy to guide Kieran along the trails he takes visitors at night to spot little spotted kiwi. “Anywhere near trees with berries and fruit is a good thing. 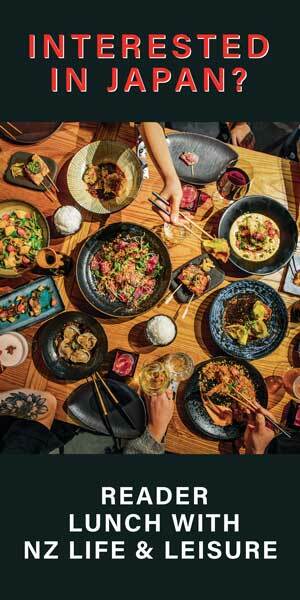 We need the sugar-loving yeast that sits on fruit skin,” says Kieran. Manaaki stops at a likely spot that’s shaded with kānuka, mānuka, tawa and kawakawa, and Kieran slips into the bush. 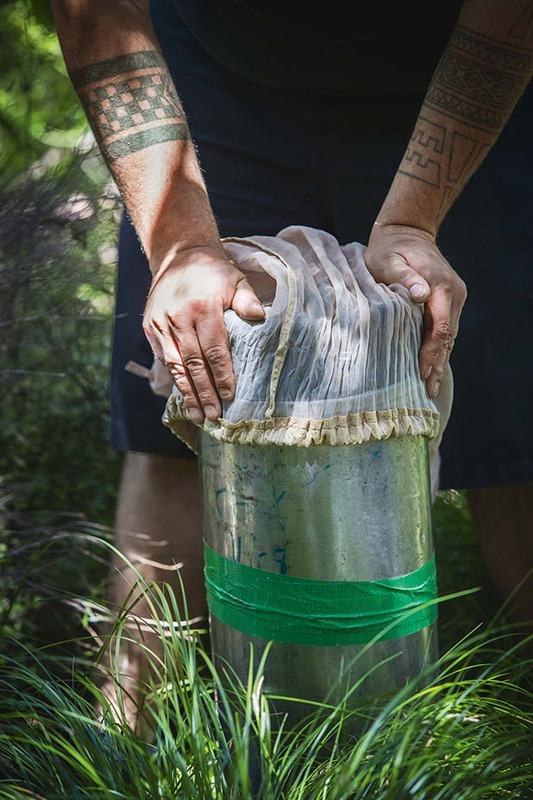 He unscrews the keg lid and ties down a straining cloth meshed tight enough to keep out dirt but readily admit the yeast that will create his starter. It’s a lot of effort when Kieran could’ve stayed in his brewery and inoculated his wort with a yeast assured to impart a particular palate. But where’s the fun in that? “You don’t do this if you don’t love it,” he says. “It’s difficult. 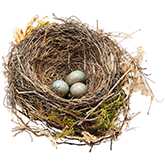 It takes time and effort, and it’s more expensive as barrel-fermented sour beers need a good year in the barrel. Then there’s the risk of cross contamination with other beers. 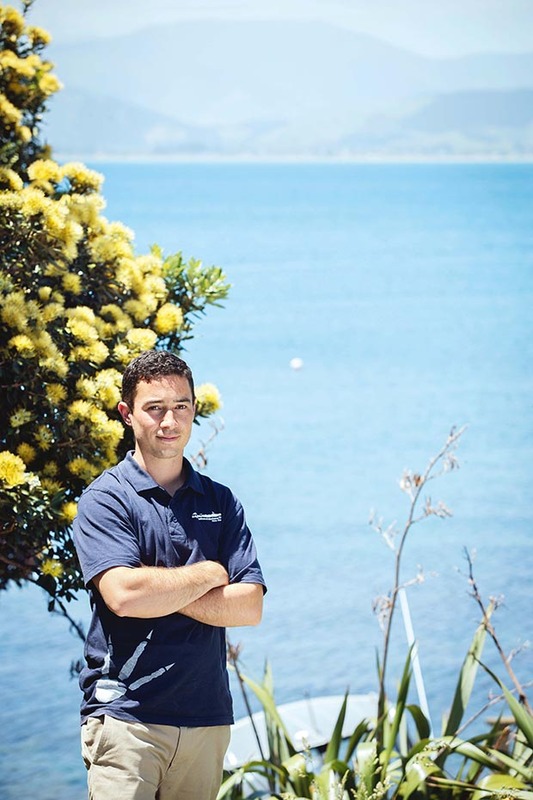 Assistant brewer Luke Ahern works in the North End Brewery at Waikanae. Rather than becoming its own beer, Kieran says the brew will most likely be blended into an older one. That creates a “gueze”, a lambic beer where the older brew contributes flavour, while the sugars in the younger prompts a secondary fermentation creating a champagne-like sparkling beer. “It will have something about Kapiti Island on the label and at the moment I’m planning to call it Evolutas, which means ‘process’,” says Kieran. Salt and Wood’s sour beer. The first sip will tell you it’s different. With a pH generally between 3.0 and 3.5, it’s sourer than usual and is made the way beers were traditionally made. After malt is steeped in hot water, creating the wort, most beers are then boiled with hops, cooled, and a carefully selected yeast added. For a wild beer, some of the wort is exposed to yeasts in the environment to create a “starter” (spontaneous fermentation). The starter’s then pitched into more wort and brewed in steel fermenters (which is quicker) or takes its time in wine barrels. Barrel fermentation adds complexity to the flavour – and to the brewers’ work as they must deal with bacteria left in the barrel. Sometimes the beer’s brewed over fruit, adding more flavour and the fruit’s bacteria sparking a secondary fermentation. Over time the microbes multiply and their respiration produces lactic acid, making the beer taste sour.